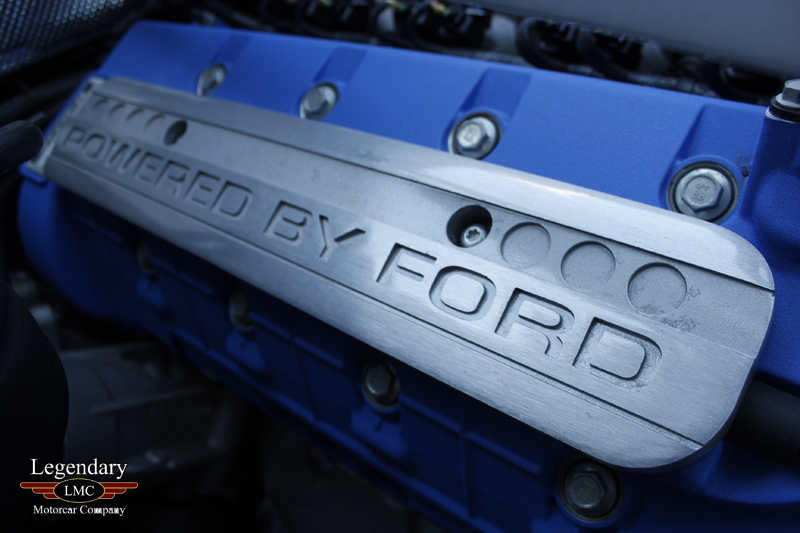 Ford Motor Company has always been very open and proud of its heritage, perhaps more so than any other car manufacturer. 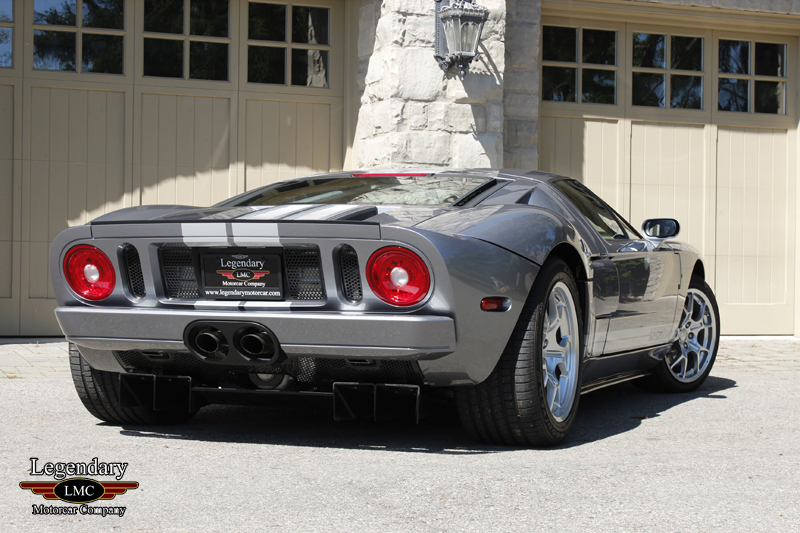 Over the years they have produced some incredible cars designed specifically to pay homage to some of the amazing achievements of the past. 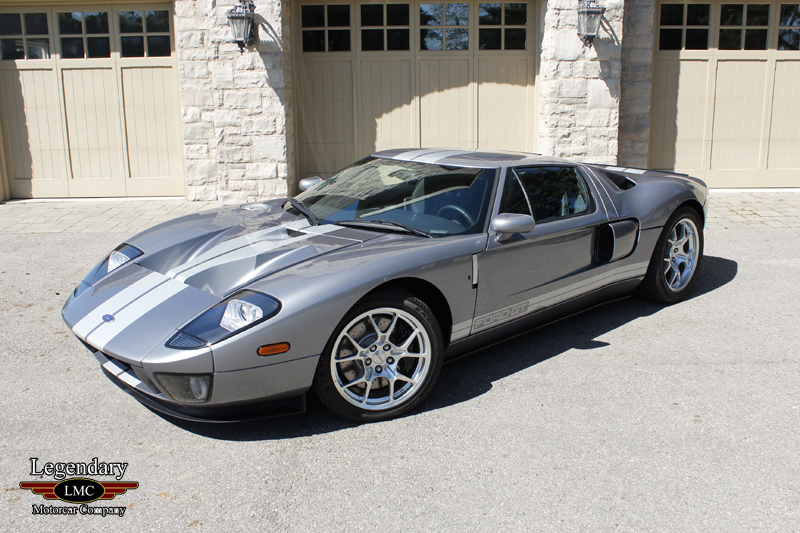 One of the best examples would have to be the Ford GT, built to resemble and pay tribute to the incredible Ford GT40’s of the 1960’s that dominated every race series Ford chose to enter them in. 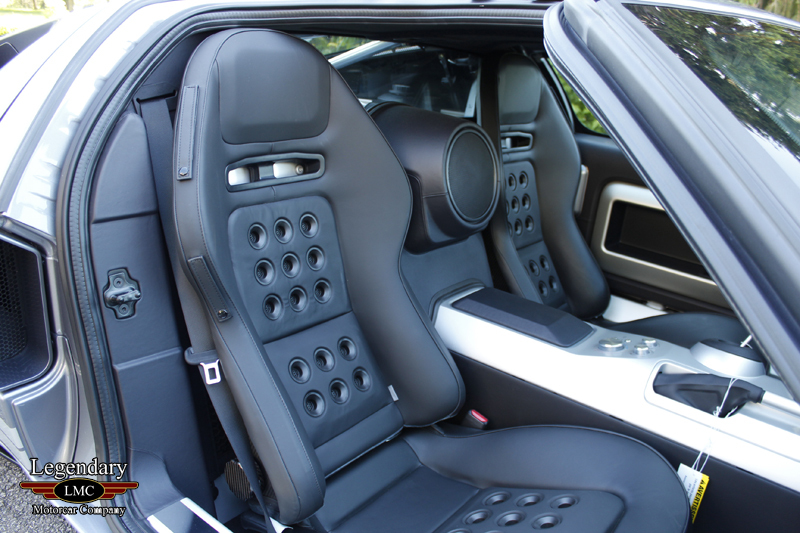 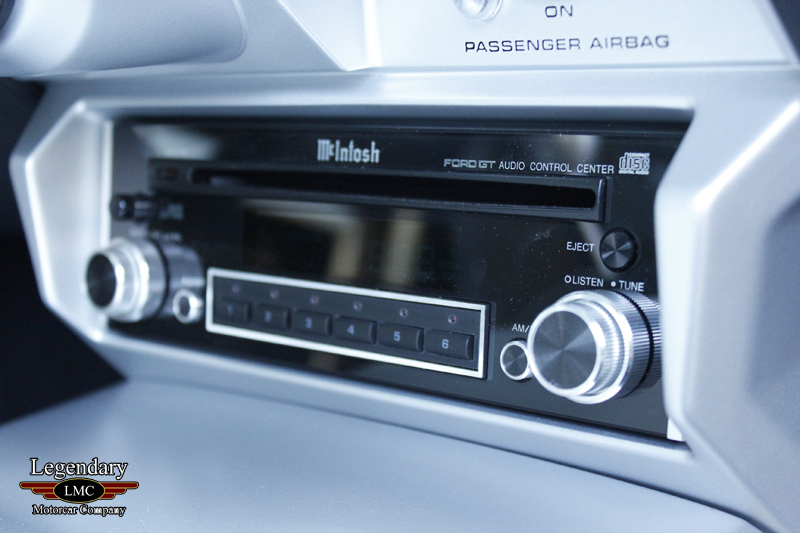 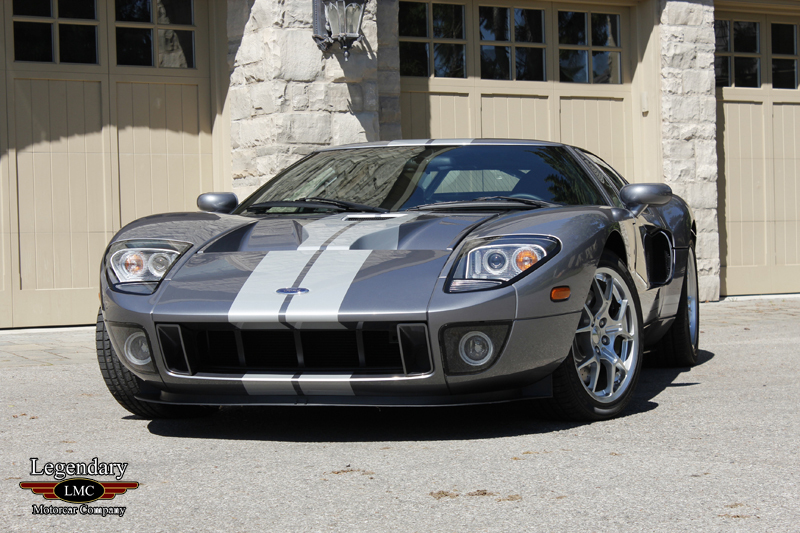 Built for only two model years, 2005 and 2006, only 4,038 examples were produced. 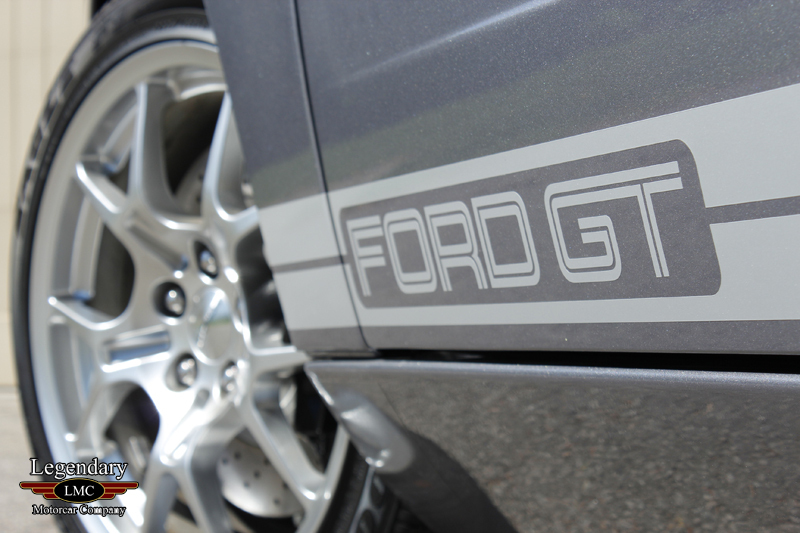 Receiving impressive reviews from critics, Ford was applauded for doing the name justice with a car that could not only compete with, but in many cases defeat competitors such as Ferrari, just like the original GT40 was made famous for. 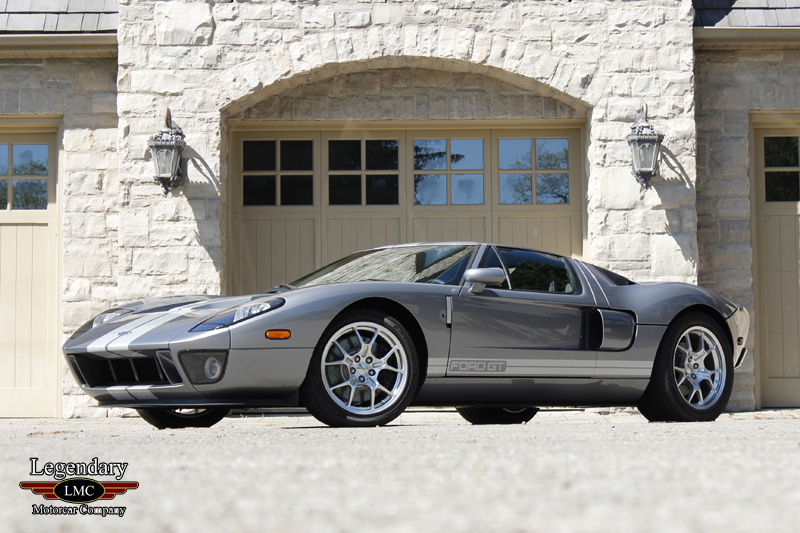 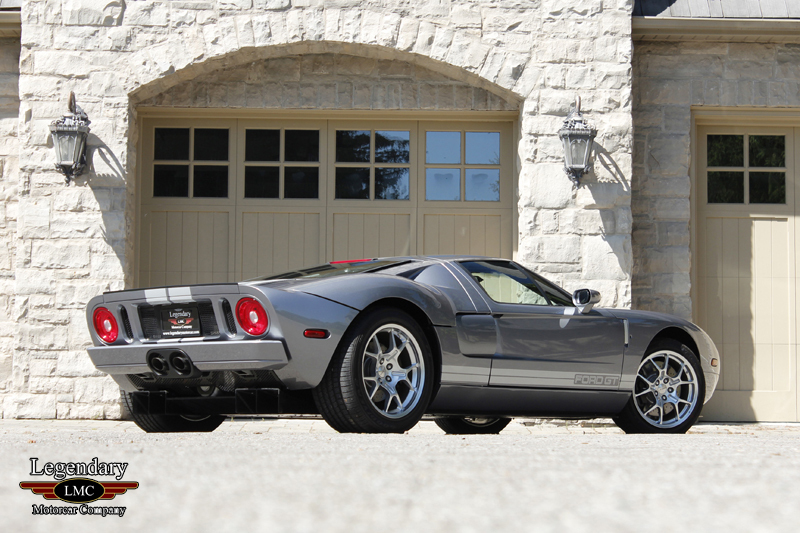 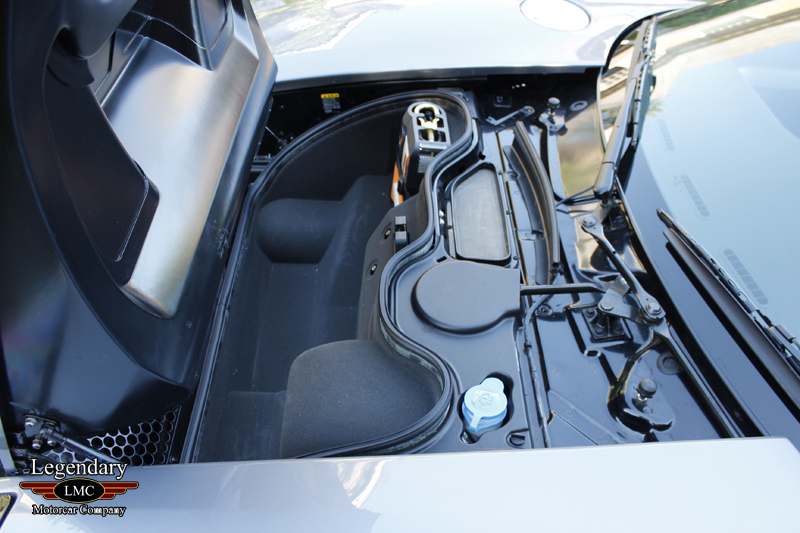 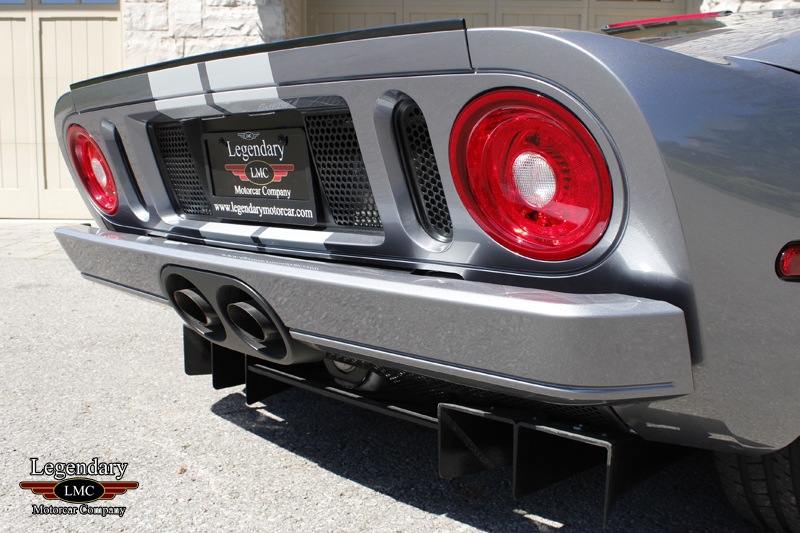 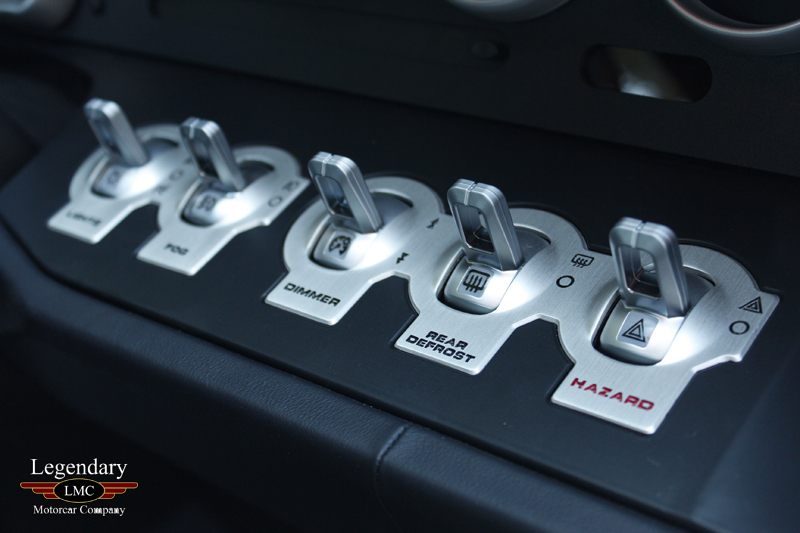 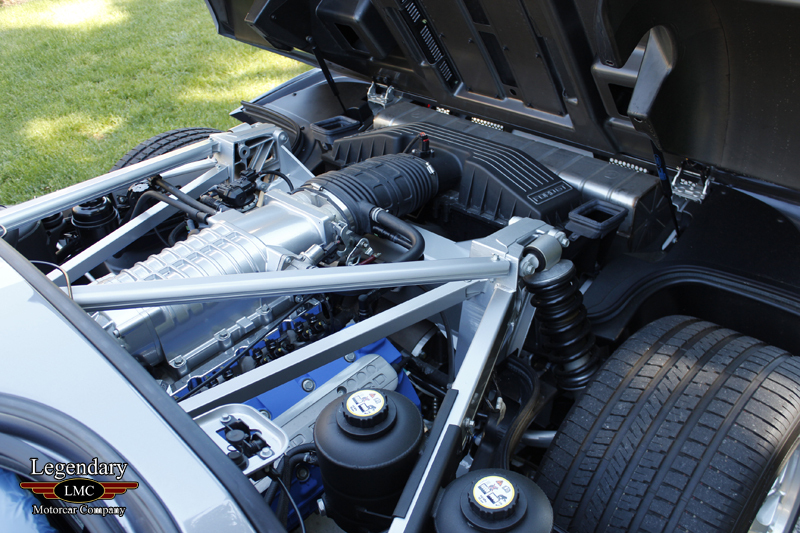 Presented here is an absolutely stunning example of a like new 2006 model Ford GT. 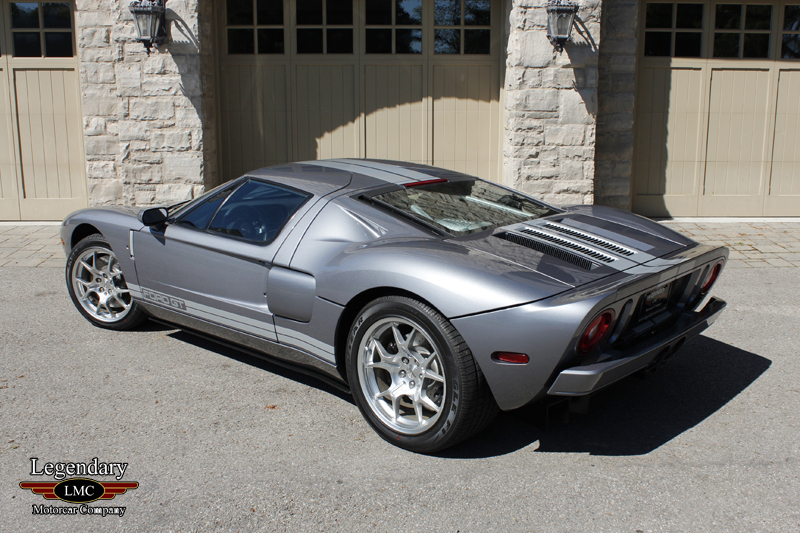 Painted in the sought after optional Tungsten Grey with silver striping, this Ford supercar is also outfitted with; McIntosh audio system, previously mentioned factory optional racing stripes, forged alloy wheels. 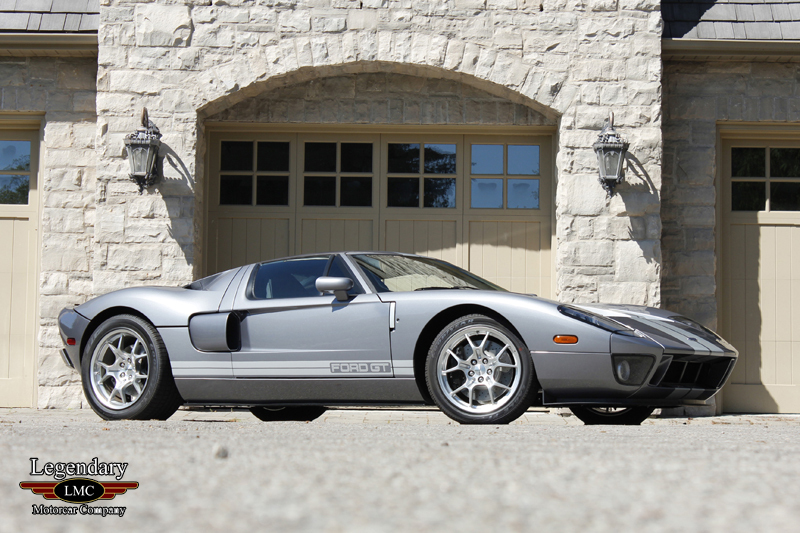 Since new it has been collector owned and never driven, with remarkably just 19.6 delivery miles on the odometer. 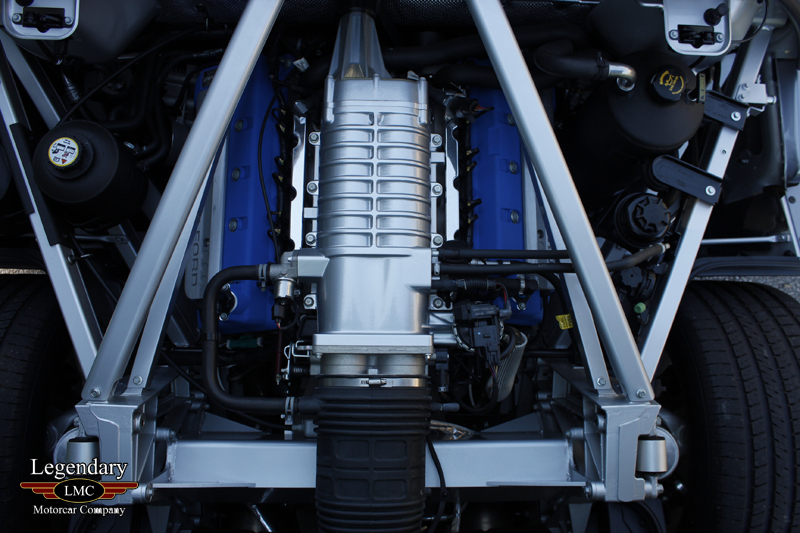 The all aluminum 5.4L DOHC supercharged V8 engine is rated at 550hp and 500 lb/ft of torque, that impressive motor is also equipped with a dry sump oil system to ensure it sits as low in the chassis as possible and is backed by a Ricardo 6-speed transmission. 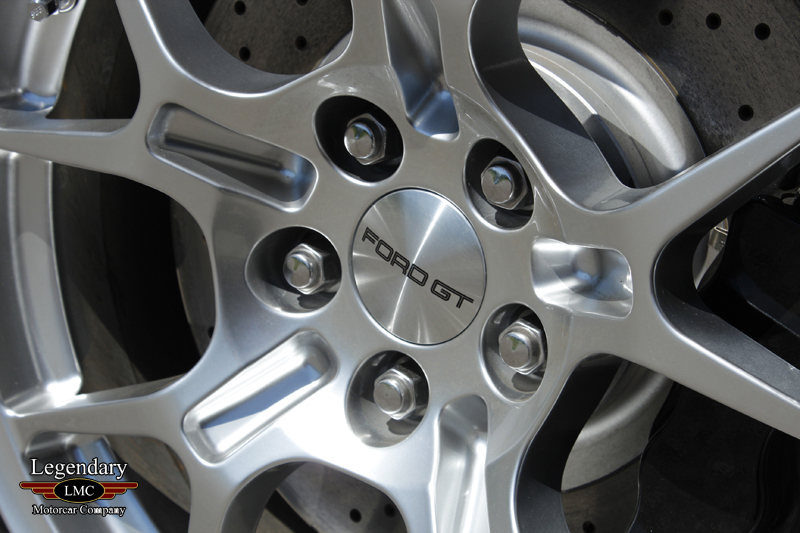 All this is brought to a stop by 4 piston Brembo brake calipers with cross drilled and vented rotors making the car capable of true supercar performance. 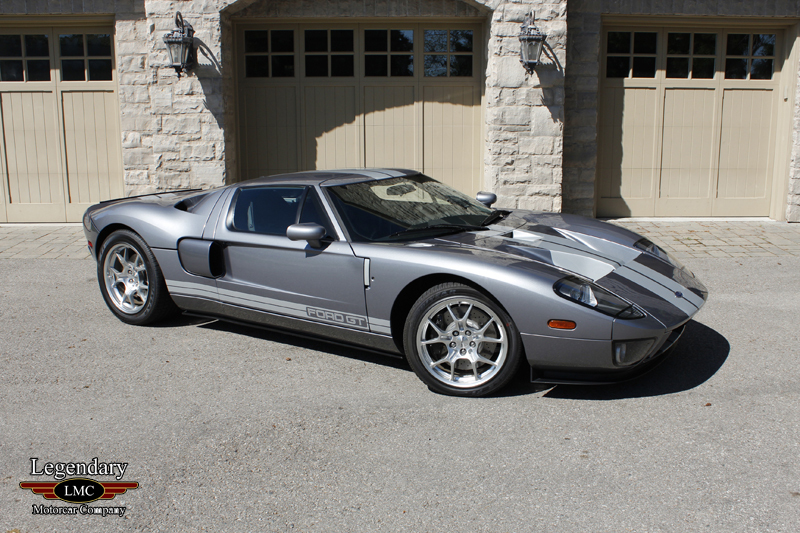 This Ford GT is a pristine delivery mile example, collector owned since new and comes complete the factory supplied car cover, air pump, owner’s manual, both keys and of course the window sticker. 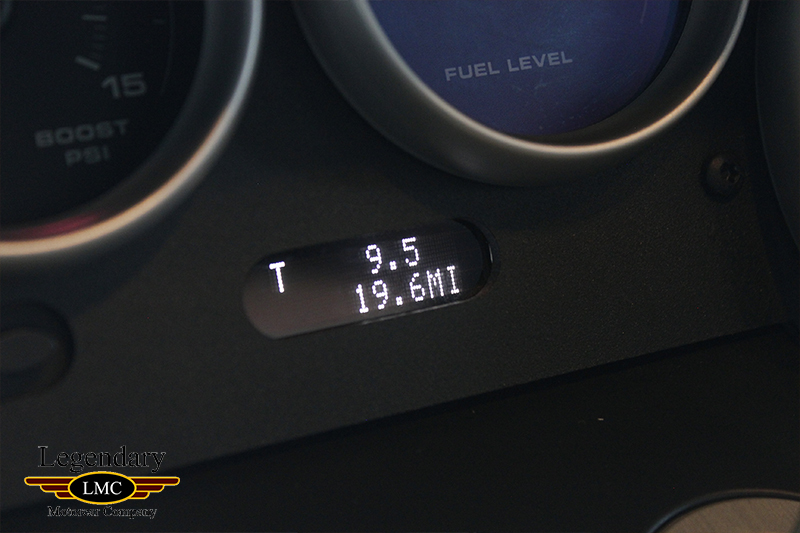 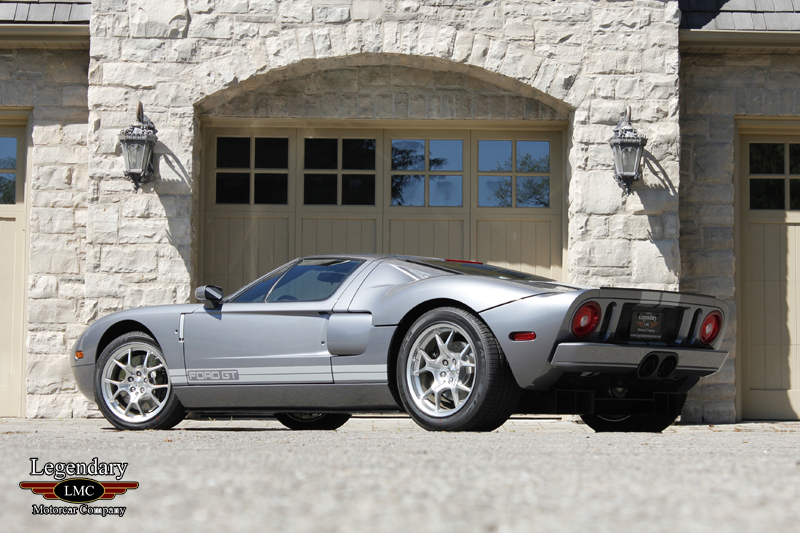 The Ford GT’s of late have been among the few to go against the grain of late model collector cars and actually appreciate in value, making this 19.6 mile example a very special and truly unique opportunity to acquire a “new” delivery mileage 2006 Ford GT. 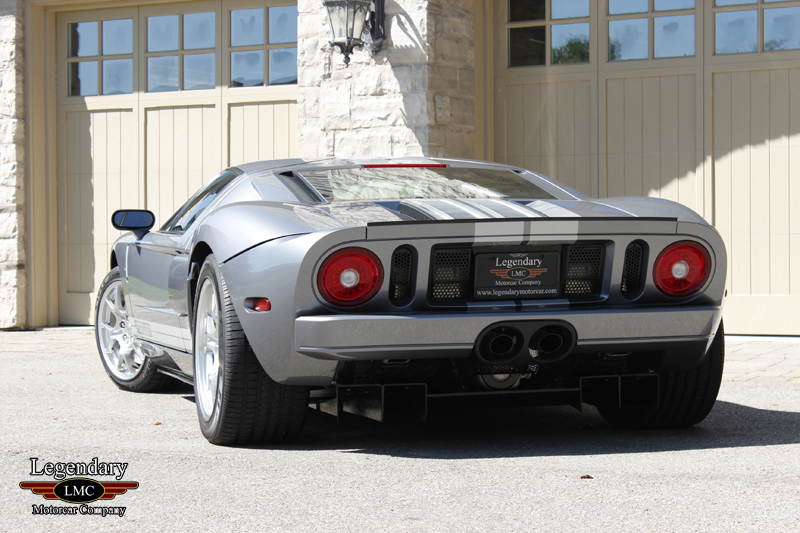 Legendary-Motorcar-Company-Ltd-2018-019 Ford 2006 Ford GT 2018-019 349000.0000 Legendary Motorcar Company Ltd.